(OPride) — Taha Tuko and Amin Jundi storm out of OLF’s General Galchu faction citing differences with the group’s leader. The faction’s most senior and considered by many to be the backbone of the group, the duo not only resigned from their leadership posts but also rescinded their membership in the organization. Tuko, who has been an activist with the OLF for nearly 25 years, was member of the Executive Committee and the faction’s Head of Information Department until last week. Also a member of the EC, Jundi was the Secretary General for the front since the organization announced alliance with the Ethiopian opposition, Ginbot 7. 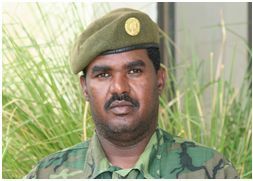 A former Ethiopian General, Kamal Galchu broke with rival OLF faction in 2008. Two years ago, he purged his former comrades and announced changing the organization’s political program. The move to align with Ginbot 7 was harshly criticized by Oromo activists. The news of Jundi and Tuko’s withdrawal comes at a point when there is a flux in the Oromo camp. How and when the situation will coalesce into a clear shape is unknown. However, observers note that after two decades of dormancy, the Oromo camp is showing signs of revival. This is due in part of two recent developments. 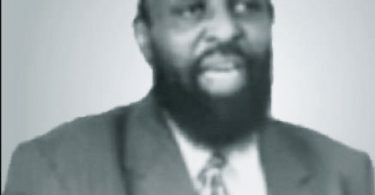 Many attribute the increased activism to the birth of the Oromo Dialogue Forum, a movement due to be launched by Lencho Lata, the former de facto leader of the OLF from its inception in the early 1970s to his dismissal from the organization in 1993. The other notable development is a recently announced merger between two other factions of the OLF, the Asmara based group led by Dawud Ibsa and Dhugasa Bakako’s Transitional Authority. The group’s spokesman in North America could not immediately be reached by phone. Below is copy of the statement sent to OPride by Mr. Tuko. Qabsoo sabni keenya gabrummaa jalaa bayee mirga isaa akka gonfatu ilmaan Oromootaatin geeggeffamaa turee fi jiru keessatti akkuma akaakilee fi abbootii keennatti yeroo itti umriin keenya gayetti dhaaba ABO jalatti gurmooynee bara dheeraaf itti fufiinsaan keessaa hirmaachaa ar’a geenye. Dhaabni keenya ABOn jaalalaa fi fudhatama ol’aanaa ummata Oromoo biratti qabaattulle, injiffannoolee hawwame galmaan gayuu dhabuu, walqixxummaan miseensummaa dhabamuu fi dhiibbaa godhamurraa jaallan hoogganoota ABO, qondaaltota dhaabaa fi akkasumma miseensota hedduu wajjiin Sochii ABO haaromsuu jedhu keessatti hirmaachuun bara 2008 akka hawwamettillee ta’uu dhabu jijjiramnni ABO keessatti akka argamu carraaqnee jira. Kana boodas akeekni ummata Oromoo aangoo siyaasaan ga’uu akka milkaayuf hawwiin ABO haaromsinee mooraa qabsaawota tokkoomsinee jaarmaya warraaqaa fi dimokraatawaa taasisuun qabsicha finiinsina jedhu mataa dhaaba kanaatiin wal hubannaa fii waldhageettii dhabuun abjuu ta’aa dhufee. Haala abjuun jaarmaya ABO haaroomsuu jedhu hindhugoomin keessatti murna kana wajjiin qabsoo itti fufuuf haalli jiru mijjataa ta’uu dhabuu akkasumas murna kana wajjiin turuun akka nama tokkootti qabsoofnee qabsoo Oromootiif bu’aa buufna jennee waan hin amanneef guyyaa arraa Bitootessa/March 15, 2013 tti murna ABO Jeneraal Kamaal Galchuun hoogganamu keessaa dirqama hoogganummaa ta’ee miseensummaa qabaachaa turre hundarraa fedhii keenyaan ufirraa buusuu keenya qabsaawotaa fi ummata Oromootiifis ifa godhuu barbaanna. Murna kanaa ala uf godhuun keennaa ammoo qabsoo Oromootii ala uf taasisuu akka hinta’in akeekkachiisaa, hanga gabrummaan jirtu qabsoon waan itti fuftuuf waadaa keenya haaromfannee xurree kaayoon qabsoo ummata Oromoo galma gaya jennee amannuun filannee qabsoo keenya akka itti fufnu addeessina. Ever since we reached the ripe age, we have continually been taking part in the struggle, as did our forefathers, to end the systematic marginalization of the Oromo people under an oppressive rule and to enable the Oromo to regain its legitimate rights as members of the Oromo Liberation Front (OLF). Noting that the OLF, despite earning the adoration and support of the Oromo people, have become paralyzed from within and without unable to wage an effective struggle to achieve its cherished objectives, we participated, along with other OLF leaders, officers, and ordinary members, in the renewal movement of 2008 with the intention of remedying the manifold maladies that retarded the struggle, removing the dysfunctions that stood in the way of organizational rejuvenation and effectiveness, and overcoming inequities. Afterwards, however, our dream of seeing the unity of Oromo compatriots, the renewal of our beloved organization, its transformation into a progressive and democratic organization, and the intensification of the struggle so as to empower the Oromo people realized gradually turned into one long nightmare after another. Under a circumstance in which our yearning to renew OLF is not materialized and in the absence of an enabling internal environment, finding that not only will our continuing with this faction not meet our own standards but also does not serve the interests of the Oromo struggle and unconvinced that our involvement with the faction would in anyway benefit the cause of the great Oromo people, we want to make public our decision to willingly withdraw from the leadership as well as membership of the faction of OLF led by General Kamal Galchu effective March 15, 2013. As we issue this statement, we want to underscore that, since it is obligatory to persevere in the struggle while our people is still under subjugation, our disassociation from this faction does not constitute distancing from the just struggle of the Oromo people and accordingly we reiterate our determination to renew our commitment to continue our efforts by choosing in due time to be part of a platform that we believe would advance the Oromo people’s legitimate struggle for freedom and justice. *This article has been updated to reflect the correct titles for Amin and Taha, and an eroneous reference to Galasa Dilbo in an earlier version.